Brenna from Meet Up HQ is in town! Live Q&A with Meetup HQ! Bring and Share Winter Barbeque! 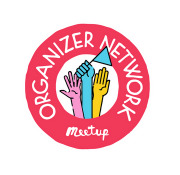 This is the organiser Meetup for organisers. Being a part of this community will teach you how to find your people and elevate your experiences. We know that growing a great Meetup requires care and attention, and we’re here to learn from each other. When you join this Meetup group, you’ll have the opportunity to elevate the community you’re building by learning and sharing your knowledge with the broader London Meetup community. This Meetup is powered by local volunteers who are passionate about creating more human connections. If you want to join your local leadership team, suggest a Meetup, or host your own, please contact your City Organiser. This is a community space for all organisers. All online and offline behavior deemed as inappropriate will be moderated by your City Organiser and Meetup HQ.